Replacing lost or broken locker keys can be a major concern for some organisations. Imagine having several hundred lockers to manage, whether in a school, gym or workplace. In this environment the problem of replacing lost and broken locker keys can be a time consuming and expensive one. KitLock is a digital access solution that uses a four-digit pin code to secure and open lockers and cabinets. Fitted in place of standard cam locks, KitLock provides simple keypad access without the hassle of keys, tokens or coins. What are the main benefits of keyless entry? The most obvious benefit is having no key to carry around. This is particularly useful if you are a user of a gym or spa, or if you work in a hospital where there might be many locked cabinets and therefore lots of keys to issue. People are far more likely to lose a key than they are to forget a four-digit code. But if a KitLock code is forgotten, then entering an eight-digit master code will open the door. From a maintenance perspective, having no more keys to replace saves a great deal of time and money. 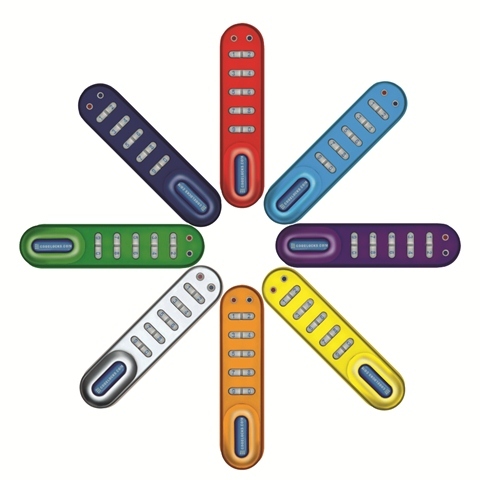 KitLock functions in two different modes of operation; ‘multiple user mode’ – where the same code is used over and over again and ‘one-time user mode’ – where a new code is selected by each new user. There will be more about the different modes of function in the next blog post. Where can KitLocks be used? KitLocks are ideal for locking cabinets that hold confidential information in offices, for example, or for securing potentially hazardous materials like drugs or medicine on medical carts and trolleys in hospitals. Lockers offer protection and somewhere to store personal belongings in the workplace or for students and staff in schools, colleges and universities. In this application KitLock is ideal due to the high numbers of keys that get lost or stolen. Lockers used for short-term occupancy in changing rooms in leisure centres, gyms and spas often have missing keys. Using a KitLock in this environment is ideal as the user is free to enjoy their fitness session without having to remember where they put their locker key. As lockers and cabinets are available to purchase in all shapes, sizes and colours, KitLock is also available to order in any standard RAL colour. So as well as being convenient to use, KitLock is also a colourful solution to locker management. If you would like to go keyless and switch to digital cabinet locks visit our website or call 0800 393405. ← Keyless entry door locks – which is best?